Enjoy the top 1 famous quotes, sayings and quotations by Ashley Eckstein. 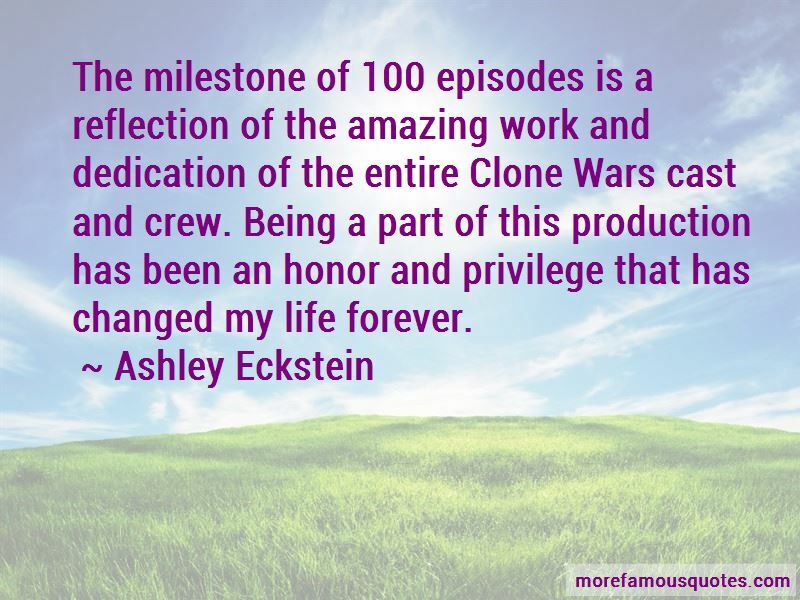 The milestone of 100 episodes is a reflection of the amazing work and dedication of the entire Clone Wars cast and crew. Being a part of this production has been an honor and privilege that has changed my life forever. Want to see more pictures of Ashley Eckstein quotes? Click on image of Ashley Eckstein quotes to view full size.